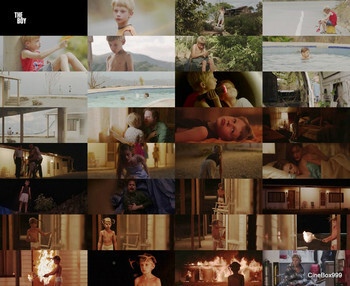 Мальчик / The Boy / Child. 2015. Вы здесь » Naturism Life » Новые фильмы 2015-2018. » Мальчик / The Boy / Child. 2015. It’s the summer of 1989. 9-year-old Ted Henley (Jared Breeze) and his father John (David Morse) are the proprietors of The Mt. Vista Motel, a crumbling resort buried in the mountains of the American West. Since Ted's mother left, John has drifted into despondency—leaving Ted to fend for himself. In this isolation, unchecked by the bounds of parenting, Ted’s darker impulses begin to manifest. The arrival of a mysterious drifter, William Colby (Rainn Wilson), captivates young Ted and the two form a unique friendship - setting the stage for Ted’s final, unnerving metamorphosis. 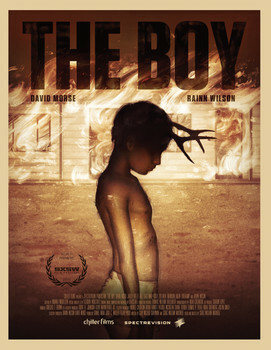 THE BOY is a chilling, intimate portrait of a 9-year-old sociopath's growing fascination with death. Режиссер: Крейг Вильям Макнейлл / Craig William Macneill. В ролях: David Morse, Rainn Wilson, Jared Breeze, Bill Sage, Mike Vogel, Zuleikha Robinson, Aiden Lovekamp, David Valencia, Amalia Santa Maria.